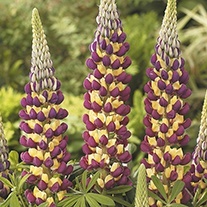 With their bold spikes packed full with bright and colourful blooms, lupins remain one of our most-loved cottage garden flowers. 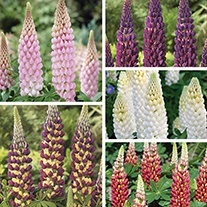 These outstanding cultivars from West Country series are some of the best, offering a sturdy habit, large bee-like blooms and early flowers from quick growing plants. 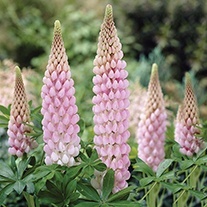 Tough and straightforward to grow, doing best in a well-drained soil in either full sun or partial shade. Loved by bees and butterflies and wonderful for cutting.